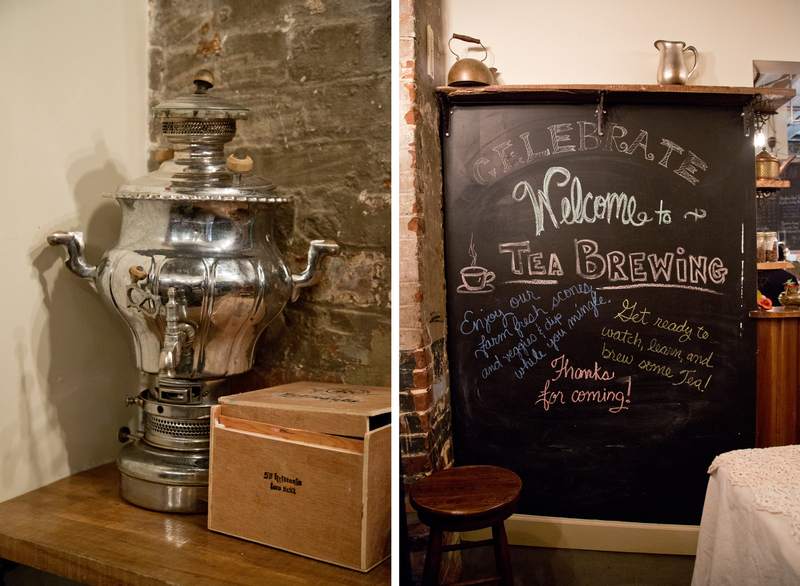 Tea Brewing 101 at Piper and Leaf Tea. 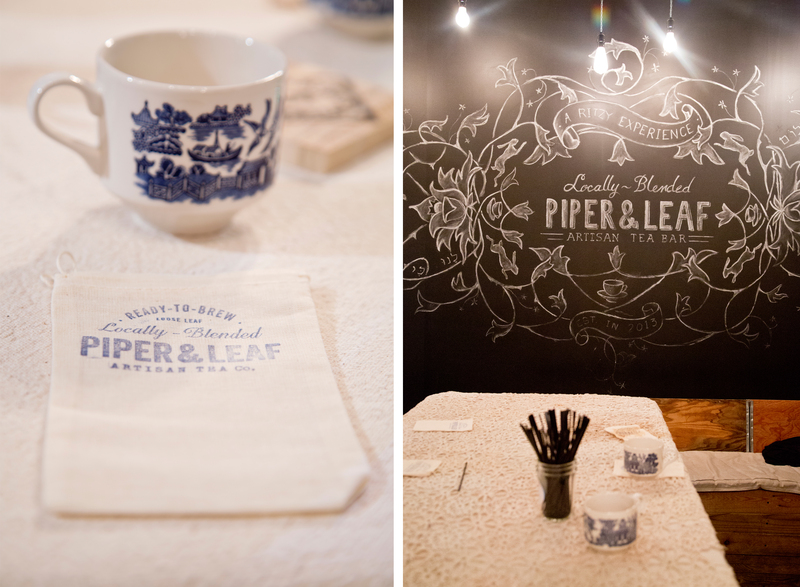 Yesterday, I had the pleasure of attending a tea brewing class with a local tea house, Piper & Leaf Artisan Tea Bar. 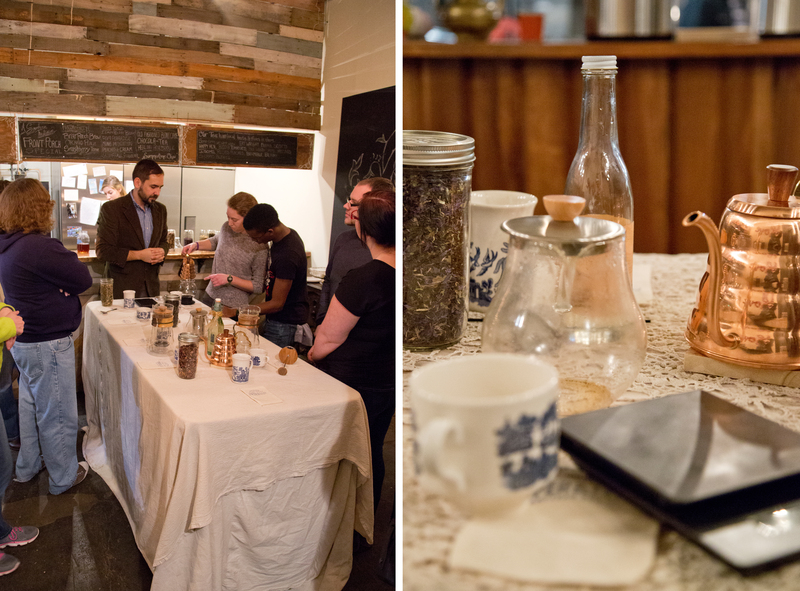 We learned the art and subtleties of tea brewing in a causal setting with other passionate tea drinkers. While sweet, cold tea is guzzled throughout Alabama as a slight reprieve to our hot, sticky summers, coffee and, the less healthy option, Coke Cola rein supreme when it comes to a daily pick-me-up. 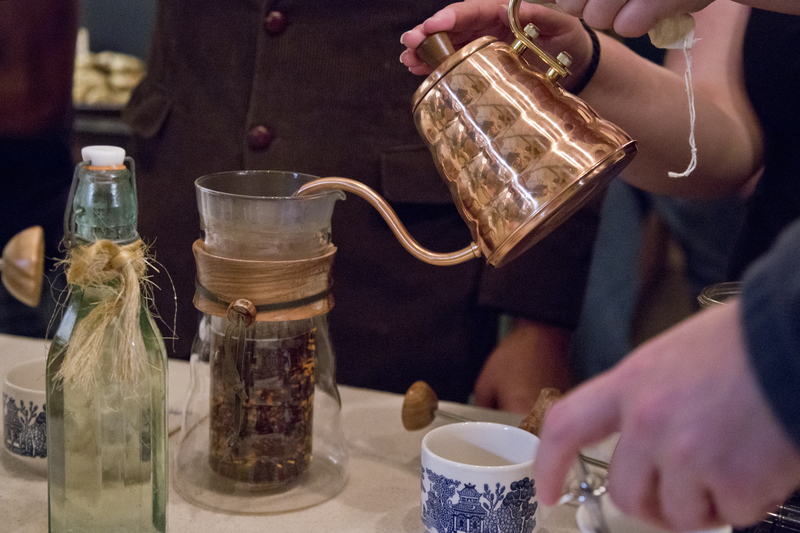 But recently tea houses have started popping up around Huntsville and we are discovering what the rest of the world knew centuries ago: the magic of tea. Piper & Leaf has done an exceptional job to bring delicious tea to our community and has all of us flocking to buy their brew. When I learned about their tea brewing class I signed up right away, which was good, because it filled up quickly. While I won’t give away any of the classes secrets (you’ll have to sign up for the next session) I will say that we learned 5 different brewing techniques. I especially enjoyed brewing concentrated tea in the french press, and though I own a french press, it never occurred to me to brew tea in it. So obvious! There were lots of people in the class and it was nice to be able to chat with people about their love to tea. People were excited to be there learning new things, which is always nice. 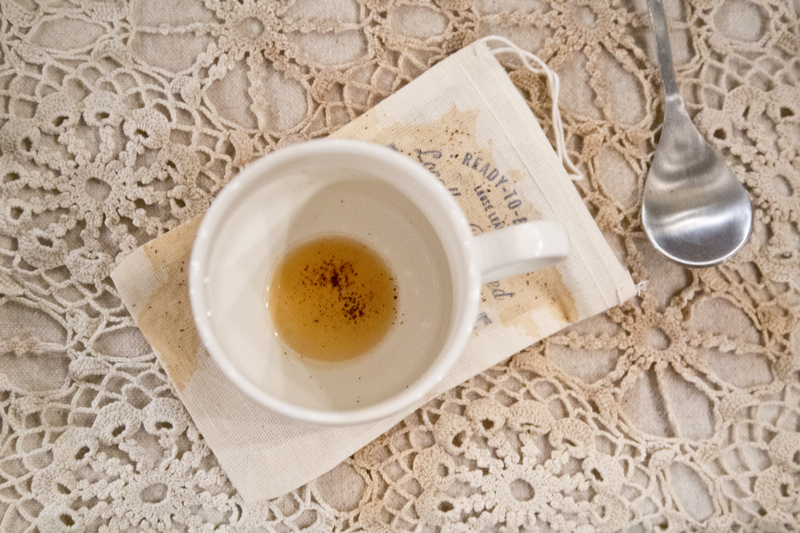 I took the class with a friend, Kami, who as a true southerner with deep dixie roots was skilled in the art of reading tea leaves, a skill she learned from her grandmother. Kami instructed me to drink most of my tea, leaving a tiny bit of liquid in the bottom. She then had me place my cup upside down on a plate, turn the cup clockwise three times and then lift up my mug for inspection. As Kami looked into the cup, a roadmap to my future, she raised her eyebrows. “Don’t say a baby!” I said, reading a look on her face. Every time I get my tea leaves read the reader sees a freakin baby. I can barely handle my houseplants let alone a baby! After a long pause Kami said, “I don’t see a baby, but I do see a toy dinosaur. That could mean lots of things.” But I am not convinced. I think it means a kid in the house playing with toy dinosaurs. Kami showed the woman across our table my cup for a second opinion and she also sees a toy dinosaur. Then Kami says, “Oh there it is, I see a baby right here.” The woman also sees a baby, but I just see a bunch of flakes in a random pattern. You can be the judge. Here is a photo of the ‘baby’ Kami and the other lady saw in my tea leaves. 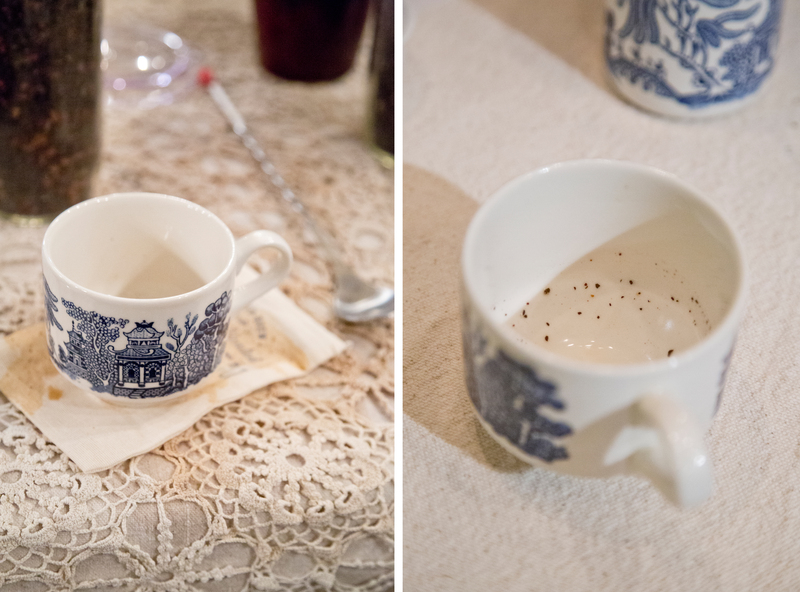 On the right photograph in the back lower part of the cup is where Kami says my future baby is appearing in my tea leaves. It was a good thing I was in a tea house because after the shocking news that I may be having a future spawn I needed a calming cup of tea to relax. 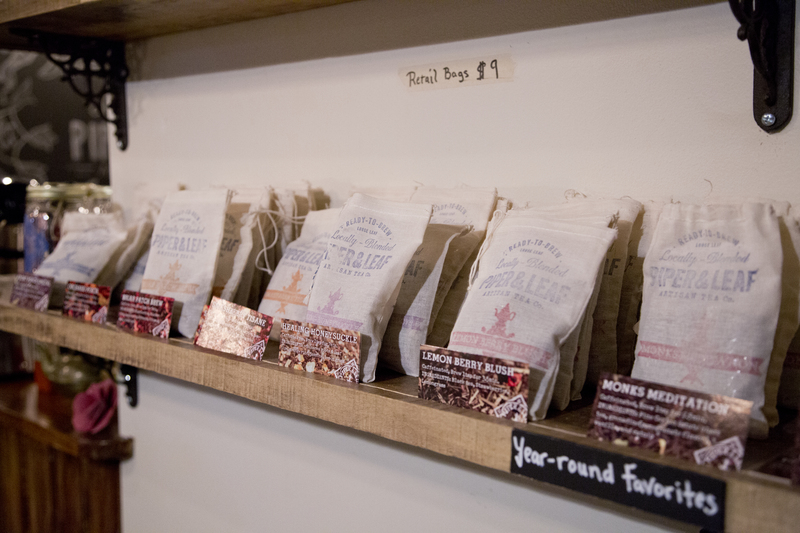 Piper & Leaf has numerous flavors, with lots of ingredients produced by local farmers. After the class Piper & Leaf sent us home with their delicious Peaches and Cream tea, so we could go home and practice what we had learned. Though the class was supposed to end at 9:00 we all stood around chatting and I didn’t head to my car until almost 10:00 (on a work night, how irresponsible!). Please check out Piper & Leaf. Happy Brewing! Categories: Food Review | Tags: artisan tea, black tea, buy local, drink local, food class, french press, herbal tea, huntsville alabama, lowe mill arts, piper & leaf, reading tea leaves, tea, tea brewing 101 | Permalink. Ha ha! Yes, well see if the tea leaves speak the truth or are misguided. The shop of Piper & Leaf is so lovely. It is a perfect place to sip tea and be calm. I love it! I am a tea addict. All kinds. We must meet here the next time i make it to Huntsville! YES!! We definitely need to go. Plus, there is the chocolate place right next store. Just sayin! Let me know when you are in town next and it’s a date! Hello Fellow RCBer! 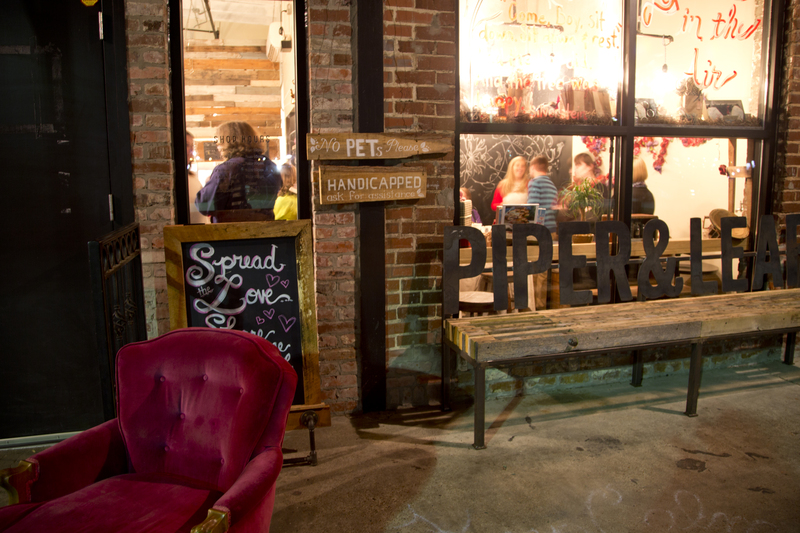 I have to say the warm tea at Piper & Leaf is quite good, if you are not a fan of the hot stuff. Start with their chocolate tea. Delicious! Do you ever go to the RCB meetings? I wonder if we have met before. I’m still relatively new to the blogging world.